I came to this book somewhat cynically. I figured it would be an easy read and I wanted to write reviews of some of the books that I happened to mention on my blog. As a spiritual writing, which is how some people wanted to relate to this, Christianity has certainly had greater spiritual masters. As biography, history has had more compelling figures. The book was also merely "co-authored" by Tim Tebow. Presumably, the real writer in the partnership was Nathan Whitaker, the guy I had never heard of. I decided to come to the book as an easy read that could contain some entertainment and uplift. That was roughly what it was, with all its pros and cons. If you already wanted to read this book, it probably won't disappoint, and if you weren't interested, it may be slightly better than you expected, but it won't blow you away. Right off the bat, I enjoyed the preface. It addressed some of the issues I have written about with Christian celebrities on this blog. He addressed the idea of platform, humbly accepting that, right or wrong, he was famous in this moment, and he felt that he should use that platform, which may well only last a moment, for spreading the gospel of Jesus Christ. That is something I have always appreciated about Tebow and so far there have been no serious lapses to make that platform backfire. 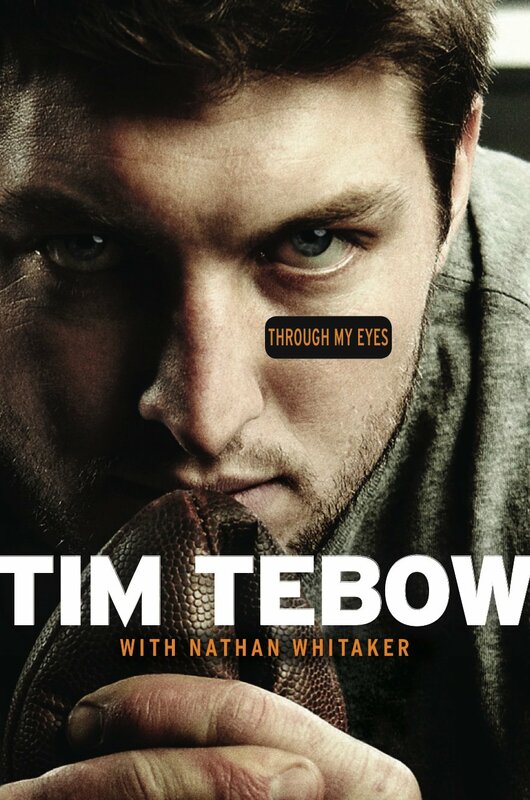 Nevertheless, with all the talk about addressing critics and commentators in the book, the people who I assume will most enjoy, and buy, this book are pre-existent Tebow fans and folks from his cultural milieu. There were all sorts of little examples, from life on the farm, to being home schooled to the attempts at humor that put the audience of this book in my mind. The mix of God and sports reminded me of that terrible movie Facing the Giants, although it was played much better here. There were parts of this book that were more interesting than others. Perhaps the most interesting part of this book was the dramatic circumstances of Tebow's birth. His mom had been advised to get an abortion, but thankfully didn't. I would also say as a Christian and a world traveler, the stories of different missions in the Phillipines were very interesting as well. Lastly, some of the descriptions of football games, coming from someone who was right in the thick of it, were exciting. One thing I really appreciated in this book was the emphasis of work ethic. Some people today will view a book like this as a form of laziness-shaming while others will see it as a form of pep talk. I saw it as the latter. While the book may not have me as fired up as its writers hoped, it did call me on some. I believe that personal excellence is not only the best path forward for individuals and society as a whole, but as this book posits, it is a Christian duty. Tebow has a strong attitude of do the good you can with the talents you have. The least interesting parts of this book were the descriptions of mundane details from childhood as well as the parts where it felt like you were listening to a bro describe his workouts. I assume this is the sort of thing that Tebow fans will eat up. Lastly, the writing in the book is adequate and I enjoyed the tie-ins with scripture verses at the beginning of each chapter. I would mostly just recommend this book to people who already wanted to read it anyway.